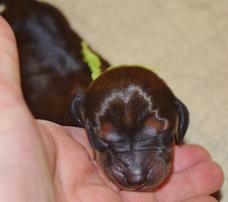 Catherine Gemkows High Standard Dachshund puppies! 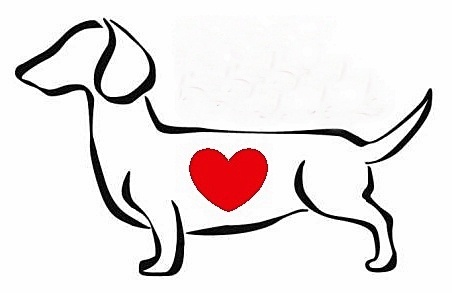 Home of the AKC Smooth Standard Dachshunds. Our dogs are part of our family first. 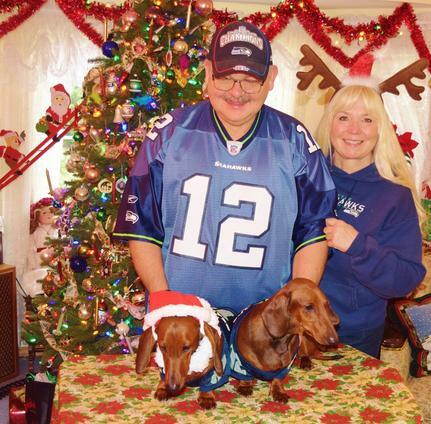 We have a strong love of the Dachshund breed. Puppies are bred with care for confirmation, gentle personality and great pedigree's. 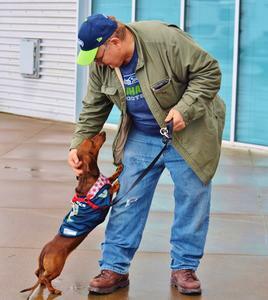 Our Dogs come from the loving hands of the Lucene Dachshund's show line. Christmas time pictures with the doggos. Go Seahawks! As you can see by our attire, we are fans. Tiny baby waiting to open its eyes.